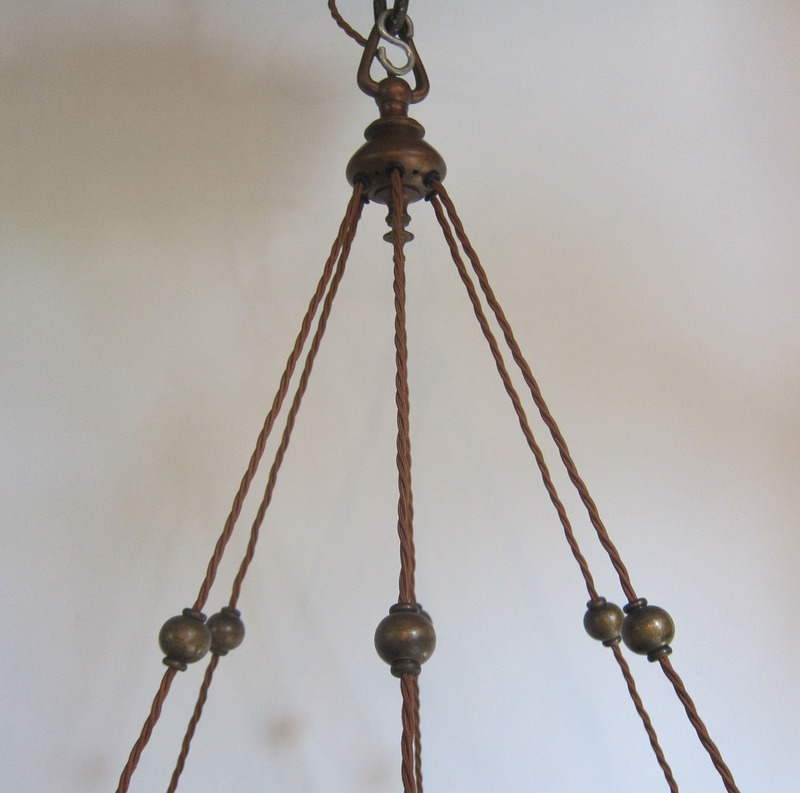 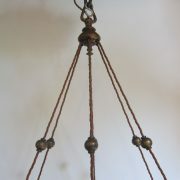 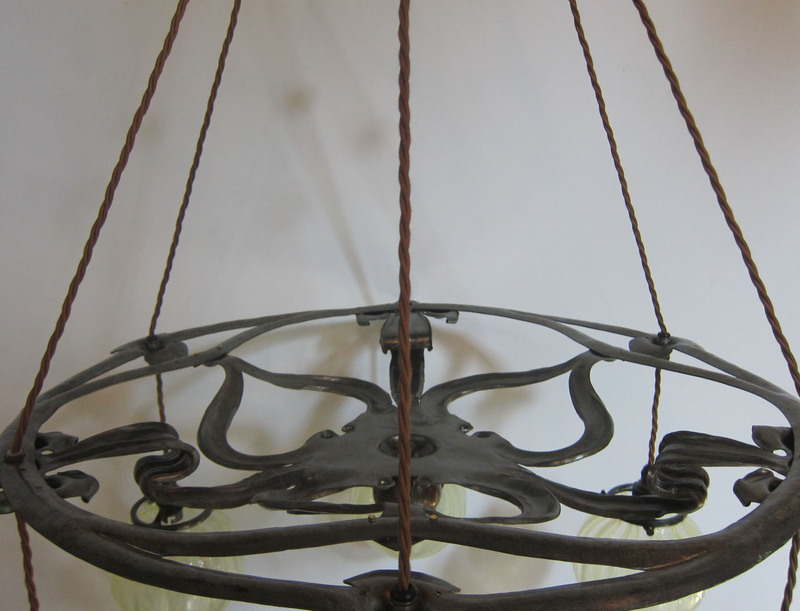 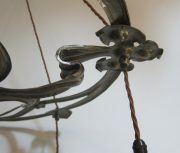 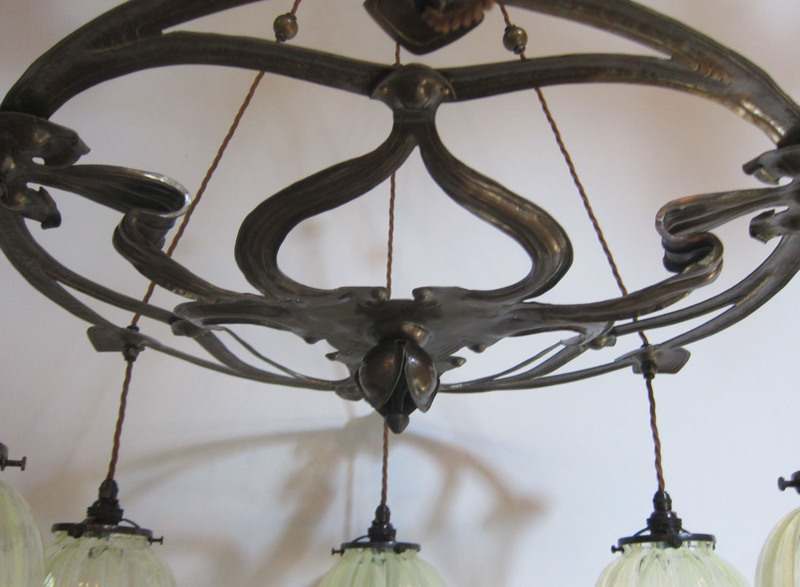 Striking Art Nouveau six arm ceiling light of European origin in the original patinated brass finish. 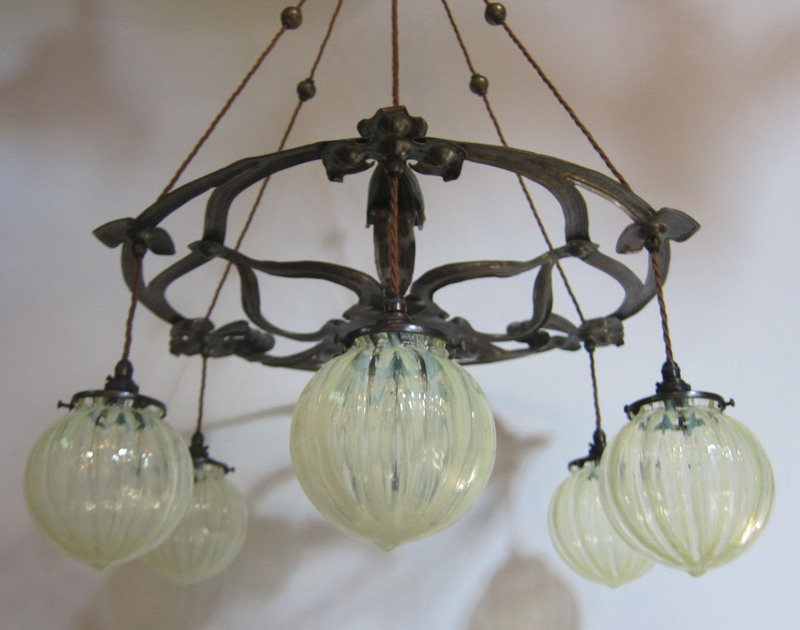 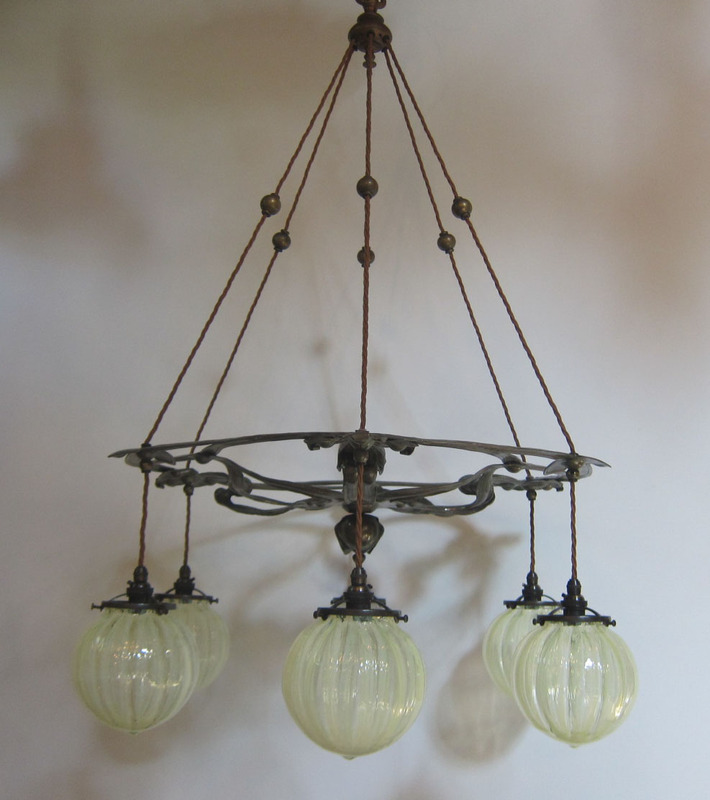 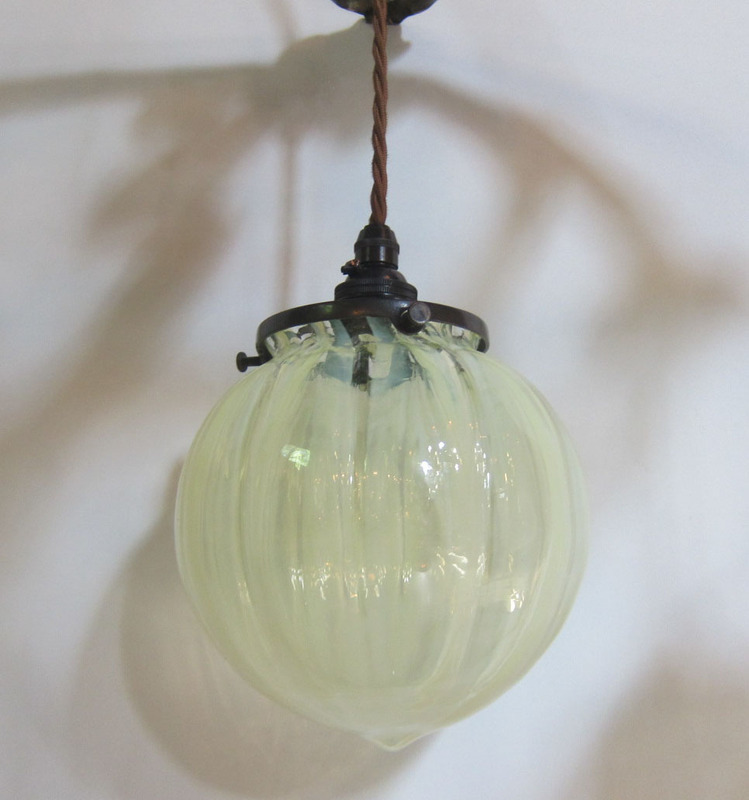 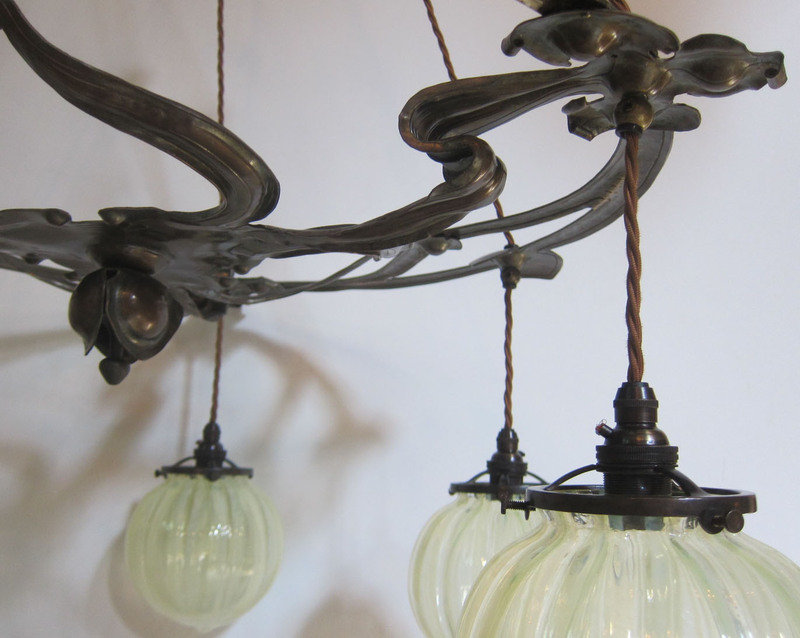 This large size light is further complemented by replacement striped vaseline glass globe shades. We can shorten the height of this light if required.